PARIS, October 25. /TASS/. 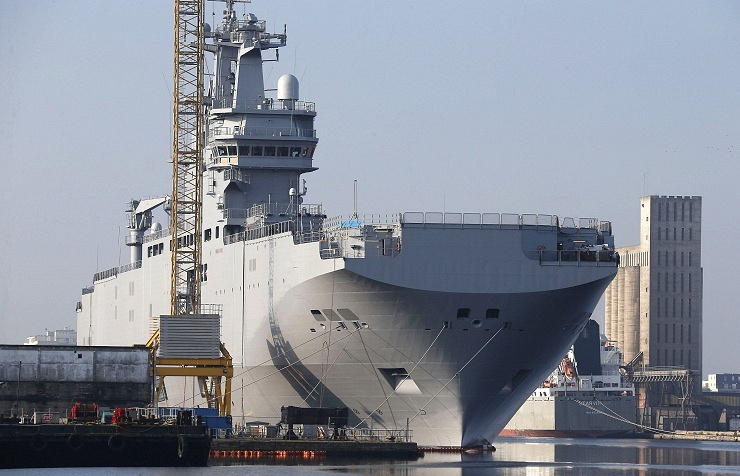 A decision on deliveryof the first Mistral-type helicopter carrier to Russia will be taken in the first half of November, the military observer Thomas Hofnung wrote in the Liberation Monde daily on Saturday citing an anonymous source from the French Defence Ministry. “Despite France’s hesitations what the decision could be like, a French high-ranking official showed optimism last week about a relatively positive outcome,” he said. The 1.12 billion contract for building two Mistral-type ships was signed by the Russian defense exporting company Rosoboronexport and French DCNS in June 2011. Under the contract, Russia is to receive the first of the two warships, the Vladivostok, in October this year. The second Mistral-class helicopter carrier, the Sevastopol, is expected to be handed over to Russia next year. The helicopter carrier can accommodate 450 people in addition to its crew of 180. It carries 16 helicopters, of which six can be simultaneously stored on the flight-deck, and can carry several dozen armored vehicles. France will have to pay Russia a penalty, if it fails to fulfill the contract.